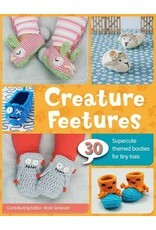 SP Creature Feetures - Crochet Stores Inc. 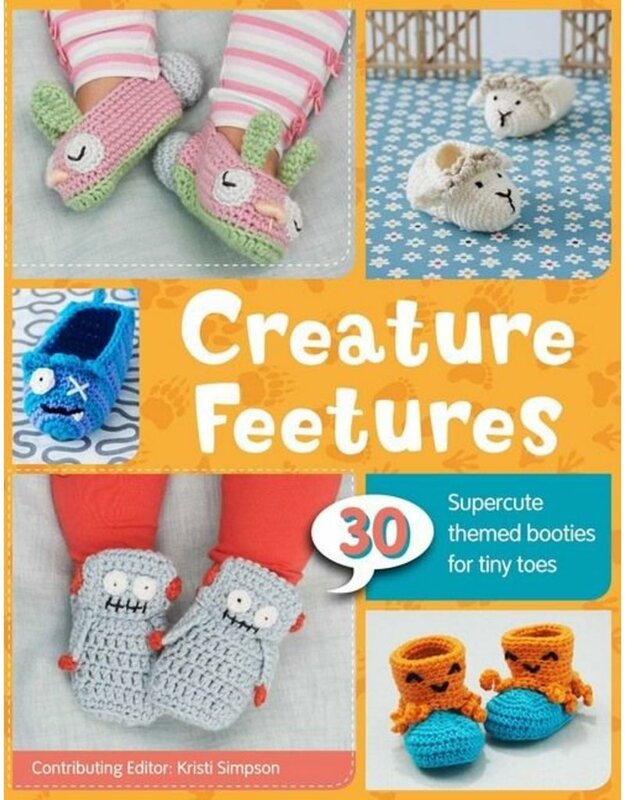 These 30 cute crocheted creatures will keep baby feet cozy all year round! From an out-of-this-world alien and monster claws to a sunny yellow duckling and snappy crocodile, there are slippers, shoes, and booties to complete any outfit—or costume. An introductory section covers all the necessary crochet basics and there are plenty of projects for crocheters of all skill levels. Kristi Simpson designs patterns for RAKJpatterns— a company inspired by her five children that she runs with her husband from her home in Alabama. Kristi is a member of the Crochet Guild of America, the author of Sweet & Simple Baby Crochet and Mommy & Me Crocheted Hats (both Stackpole Books), and has had her designs published in international crochet magazines. Find her at kristisimpson.net.